Human hair weft extensions are the perfect way to change your look every few months. You can go long to short and then back to long again, brunette to blonde and then to red. It is also a great way to give your hair a rest and protect it from the stresses of daily hair care. If your hair is damaged from over-processing this is the perfect way to cut it, start all over, and still look fabulous while your own natural hair grows. Our human hair weft extensions are 100% Virgin Remy Cuticle aligned human hair extensions. Remy Human Hair is the highest grade of real human hair and is a preferred choice for hair extensions because it achieves the most natural look. Many people have a misconception about Remy Hair. Remy Hair is considered to be the finest quality of human hair because the cuticles are kept intact and not stripped, like in most other non-Remy hair extensions. Preserving the hairs’ cuticles and aligning them in a unidirectional fashion creates extensions that are completely natural in appearance. This process ensures that the hair remains super soft, shiny, silky and completely tangle-free throughout its lifetime as long as it is properly taken care of. Hair should be brushed often. Brushing prevents extensions from matting and tangling. It also spreads natural nourishing oil throughout the extensions. When brushing your hair only use a Paddle brush andalways start brushing from the ends of the hair up to the roots. Hold the base of your hair as you brush so the extension doesn’t loosen. Never brush the hair when it is wet. Do not brush curly hair, it will brush out the curls and make the hair poufy. Use a wide tooth comb or your fingers instead. Heat is the hair’s enemy. Avoid blow drying the hair, instead let it air dry. If you must blow dry your hair with heat, dry it at a low temperature. It will take longer but the shine and overall health of the hair will last longer. Protective heat serum or spray to prevent heat damage may also be used. When going to bed to braid the hair at night hair into two side braids, or form a bun on top of your head and secure with scrunchies to prevent tangling and matting at the root area. Use a satin pillow or wear a satin scarf to protect hair. If you do not have a full weave and have some of your own hair out it is important to keep it moisturized and healthy. To moisturize the hair extension, use a tear drop size of Argan (Moroccan) oil on your finger tips and apply to your exposed hair. If your extensions are starting to dry out apply the remaining of the oil (from tear drop size) to the ends of the hair or any area that is dry. Use very small amounts as too much oil will make the extension heavy and remove all bounce and movement. 2) Wash your hair extension every one to two weeks. To extend the life of your extension, the first time you wash your hair wash it gently with a deep moisturizing conditioner (no shampoo). The next time you wash your hair, use the deep moisturizing shampoo and conditioner. We are providing you with high quality hair so do not be afraid to wash it. It will still be bouncy, shiny and beautiful after it has been washed and conditioned. 3) Stand upright in shower and shampoo never bend over to wash. Massage the hair gently rubbing the scalp as best as you can. Do not scrub and tangle the hair as you wash.
5) Condition the hair with a hydrating conditioner. Let the conditioner sit for 3 to 5 minutes. Rinse hair well, do a cool water rinse to seal the cuticle and make the hair shiny. 6) A good leave in conditioner can be used if necessary. Make sure that you also apply the leave in to your braided hair as good as possible. 7) Allow hair to air dry completely. Do not blow dry your hair. If you must blow dry your hair with heat, dry it at a low temperature. It will take longer but the shine and overall health of the hair will last longer. Protective heat serum or spray to prevent heat damage may also be used. 8) Use a gentle clarifying shampoo at least once every 2 to 3 weeks to clear build up. You can also do a co-wash in-between washes. A co-wash is when you wash the hair with a mild conditioner only. It keeps the hair soft, shiny, and more manageable. 1. After you have washed your hair and it’s slightly damps, separate it into small sections and either use a brush or a wide tooth comb to gently comb out each section of your locks. Spray your hair now with a leave-in conditioner or curl activator solution. 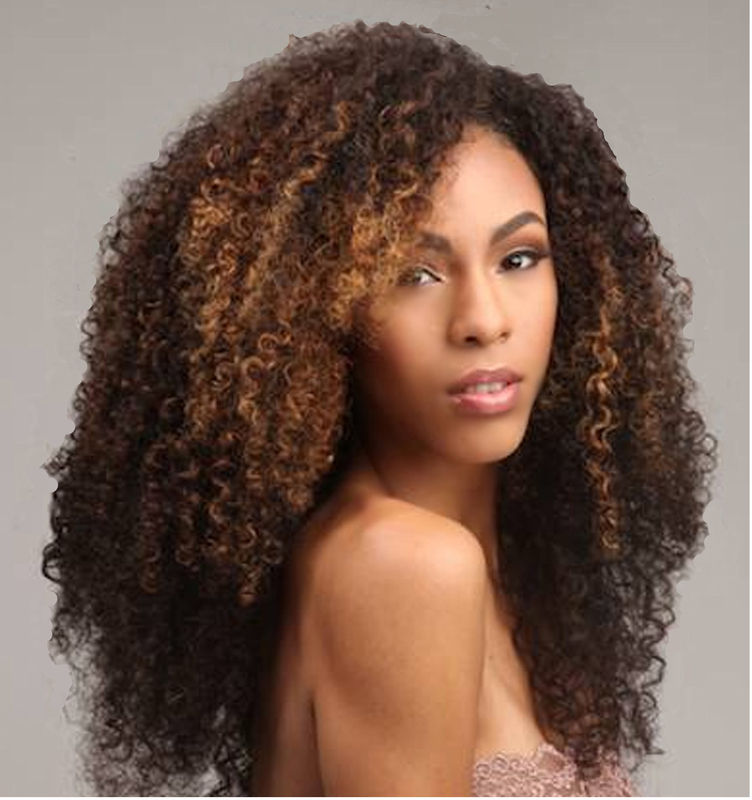 Regardless, your curls will naturally take shape so don’t put very much product in your locks. 2. It is important to remember to NOT scrunch your hair with your hands to reform your curls. The reason why is because rubbing your hair against other sections of your hair results breakage of your hair cuticles. Instead run your hands through small sections of your hair at a time, from your roots to your tips. It should be fairly easy since you’ve already gently combed your hair. If your hair isn’t too wet, shake your damp hair back and forth to create more curl. 3. During this process the goal is to prevent frizz and keep your hair healthy and strong. The best thing that you can do for your hair is to mostly let it air dry and remember that heat is your enemy because it dries out your hair and creates frizz. Conditioning your hair daily with a daily hair conditioner will keep your hair hydrated and moist. However, you don’t want to overdo it because your scalp and hair can become too oily. Deep condition your hair 3 to 4 times a month as well and it will help keep your extensions last a long, long time. 4. Another tip: if your use your blow dryer with your diffuser set on low heat, your curls will also take form. Either way keep the blow dryer set on a low heat setting and on low power. The worst thing you can do is damage your extensions due to overheating your locks and hurting your tips. Harm to the tips of your hair creates split ends from breakage and lack of essential nutrients. 5. Even with curly extensions you can straighten them with a hair straightener. Use a deep conditioning treatment after you have straightened your hair during your next hair wash or implement a product that protects your tresses while you straighten them. As soon as it is time to wash your hair again, or if you are getting tired of your temporary straight locks, simply wash your hair again and your curls will come back immediately as they dry naturally and you have following our above hair care instructions. With curls you can be sassy and sweet, or switch back to being a diva goin on a night out with her friends in a straight hair do. Extensions give you a variety of styles to choose from and whatever you decide (straight, curly, wavy,) treat your tresses with lots of love and they will stay beautiful and strong in return.